Positioned atop The Cromwell on the 11th floor, Drai’s reigns over what is arguably the busiest intersection in Vegas. During the daytime it’s a beach pool party on steroids; in the evening it morphs into an upscale high-voltage nightclub. The dayclub embraces north-facing views including the Red Rock Mountains in the distance and the Bellagio fountains across the street. A central pool is flanked by palm trees and a white edifice with pink curtains covering the 15 second-floor cabanas outfitted with HD TVs — but with all the hard bodies dancing to the tunes of a live DJ it’s doubtful anyone will be watching much television. The nightclub, a two-story indoor space facing the dayclub pool, is all shiny black semi-circular booths and a horseshoe DJ station surrounded by columns festooned with postage stamp-sized mirrors. “I designed this club inch by inch,” Drai tells The Hollywood Reporter. “I wanted a different scale and scope.” He’s certainly achieved that. The two-story nightclub has seven control table operators behind the DJ for unsurpassed visuals on the 270-degree wraparound video wall and the first-ever ceiling video panels, so it’s a constant stream of optical illumination. VIP tables and booths ring the dance floor and match the second-floor private balcony areas, all of which are upholstered with black imitation crocodile coverings highlighted with pink and orange. The sound system is off the charts, and the music will rattle your very bones, making the nonstop flood of sound, vibration and light a near-primal sensation. 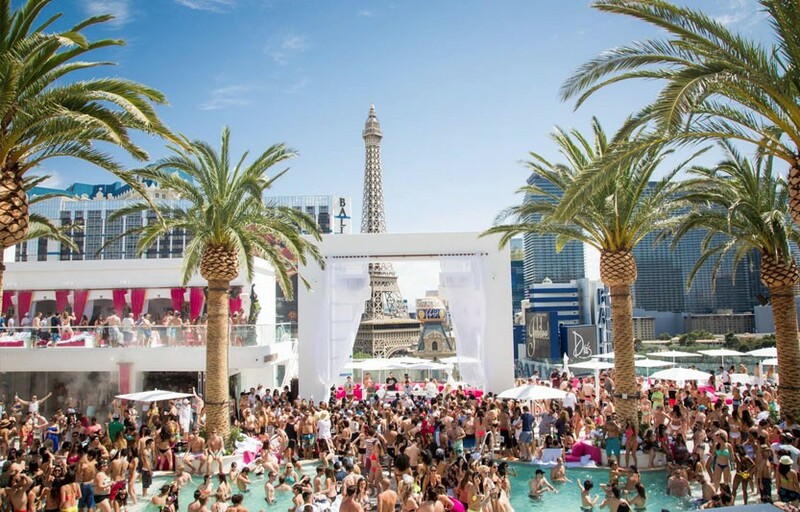 Drai’s beach club has the best views on the strip as far as dayclubs go. Where is Drai’s Beach Club located? Drai’s Beach Club is located on the roof of the Cromwell hotel, head to the right when entering from valet/cab drop off. The Cromwell is in the middle of the strip, right across from the Bellagio fountains. How much is cover charge / general admission at Drai’s Beach Club? General admission generally starts at $20 for girls, $40 for guys. Expect higher prices for holiday weekends or top DJs. How long will I have to wait at Drai’s Beach Club? Average wait times are around 30-45 minutes on Fri/Sat. On days with big name DJs expect to wait longer. When is Drai’s Beach Club open? Drai’s Beach Club is open from 10 AM to 7 PM Friday-Sunday. Tuesday nights are also open for nightswim from 10:30 PM – 3/4 AM. What are the best nights to go to Drai’s Beach Club? Sunday is industry day. Tuesday “Yacht Club” nightswims are also pretty fun. What is the dress code at Drai’s Beach Club? How much do drinks cost at Drai’s Beach Club? Mixed drinks / cocktails Start at $15, Beers $10, Shots $10, and Bottles start at $595. 2019 resident DJs / performers include Migos, DJ Franzen, DJ Esco, 50 Cent, French Montana, Lil Wayne and more. What kind of music do they play at Drai’s Beach Club? Mostly Electronic but depends on the DJ – some DJs will play trap, hip hop, dubstep, etc. Where can I find an list of upcoming events / DJs at Drai’s Beach Club? You can download the Discotech app to see upcoming events, get on guestlists, book tables, and buy tickets for Drai’s. You can also visit Drai’s’ website for a current list of events. When does Drai’s Beach Club open for the summer? When does Drai’s Beach Club close for the summer? 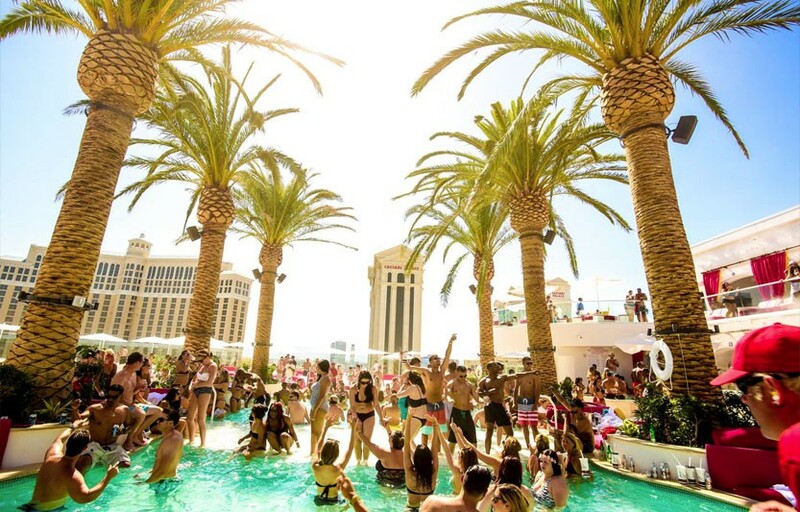 Drai’s Beach Club’s 2015 season usually starts sometime in March and ends in November. Exact dates vary year to year, depending on weather. Check our app for upcoming events! In which hotel is Drai’s Beach Club located? 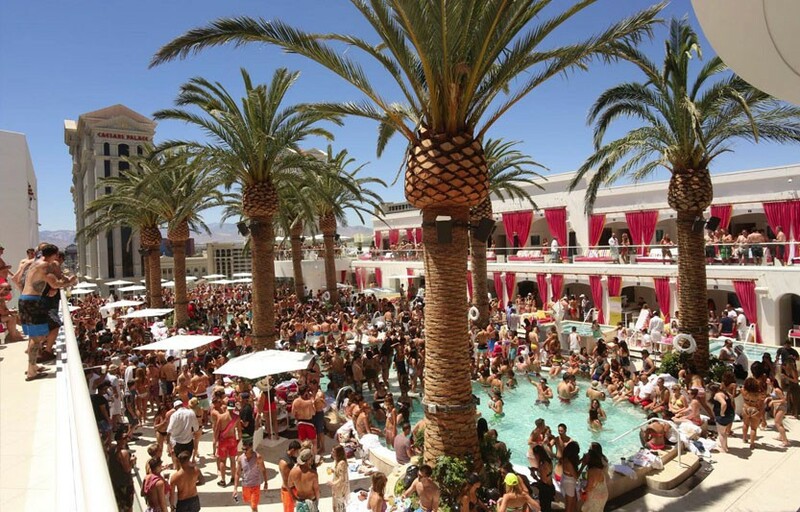 Drai’s Beach Club is located in The Cromwell. Looking for VIP offers and comps at The Cromwell? Check out URComped.com to find a Casino Host at The Cromwell.